The classic text on High Sensitivity by Dr Elaine Aron, published in the 1990s. 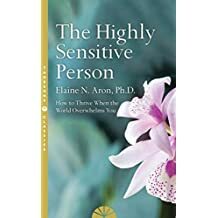 If you think you are Highly Sensitive, this is a good book to start with to help you understand yourself better and how best to cope in various situations. Dr Elaine Aron’s documentary Sensitive – The Untold Story is available to watch on Amazon. If you’re a HSP, it provides some interesting information and first hand accounts of being Highly Sensitive, including Alanis Morrisette. Kristin Neff, Ph.D., says that it’s time to “stop beating yourself up and leave insecurity behind.” Self-Compassion: Stop Beating Yourself Up and Leave Insecurity Behind offers expert advice on how to limit self-criticism and offset its negative effects, enabling you to achieve your highest potential and a more contented, fulfilled life. Dr. Neff’s extraordinary book offers exercises and action plans for dealing with every emotionally debilitating struggle, be it parenting, weight loss, or any of the numerous trials of everyday living. 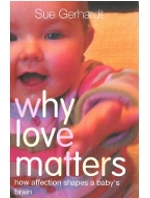 Why Love Matters explains why love is essential to brain development in the early years of life and presents the startling discoveries that provide the answers to how our emotional lives work. Sue Gerhardt considers how the earliest relationship shapes the baby’s nervous system, with lasting consequences, and how our adult life is influenced by infancy despite our inability to remember babyhood. 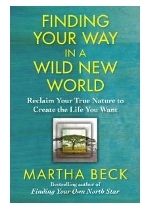 She shows how the development of the brain can affect future emotional well being and the way we respond to stress. This book about ‘gentle’ parenting can help parents enjoy their toddlers, understand the limitations of current popular toddler parenting methods such as sticker charts and time out, and have the confidence to ignore the current mainstream ‘experts’ and parent their own child with trust and empathy. Chapters include: Why toddlers are not mini-adults; the importance of night-time parenting; coping with a picky eater; communication – toddler style; avoiding difficult situations; the importance of unconditional love, why you don’t need to be permissive to parent respectfully. Employing a method of discipline used for children, this Zen guide encourages parents to look inwardly and reflect on their motivations in order to respond to their child’s needs from a clearer, kinder perspective. It contains meditative exercises for stressed or disgruntled parents and provides accounts of parent/child interactions. In each one, the self-aware parent describes how they would have reacted before learning to take time-out to discover their own motivations. Then each parent tells how he or she responded to the situation from a clearer, kinder viewpoint. Explores how motherhood and love are intrinsically linked to human well-being and how a lack of respect for maternal love is at the root of widespread dissatisfaction with modern life. A brilliant, passionate and moving exploration of what it is to be a mother and wife in the twenty-first century. Drawing on decades of experience working with individuals in extreme, high-pressure situations – including business leaders, world-class athletes, members of the military, Special Forces, and those in crisis – davidji will show you how to handle any type of stress that life throws at you. He will transform your understanding of stress using time-tested techniques; cutting-edge science; real-world, practical applications; and in-the-moment stress busters. Happiness is a loaded term that means different things to different people. To some, it might mean life satisfaction, to others, a fleeting moment of joy. Rather than seeking to be happy, Oliver James encourages us to cultivate our emotional health. Outlining the five elements of good emotional health – insightfulness, a strong sense of self, fluid relationships, authenticity and playfulness in our approach to life – he offers strategies for optimizing each characteristic to live more fulfilling lives. There is no simple set of instructions that can guarantee sanity, but if you want to overcome emotional difficulties and become happier, psychotherapist Philippa Perry argues that there are four cornerstones to sanity you can influence to bring about change. By developing your self-observation skills, examining how you relate to others, breaking out of your comfort zone and exploring new ways of defining yourself, she demonstrates that it is possible to become a little less tortured and a little more fulfilled. 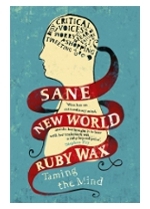 Ruby Wax – comedian, writer and mental health campaigner – shows us how our minds can jeopardize our sanity. With her own periods of depression and now a Masters from Oxford in Mindfulness-based Cognitive Therapy to draw from, she explains how our busy, chattering, self-critical thoughts drive us to anxiety and stress. If we are to break the cycle, we need to understand how our brains work, rewire our thinking and find calm in a frenetic world. Helping you become the master, not the slave, of your mind, here is the manual to saner living. The first aromatherapy guide to synthesize Eastern and Western approaches to restoring emotional and mental health. The book explains the esoteric and energetic healing properties of 40 essential oils to help restore balance to the body and psyche. It provides help for a wide range of common emotional and mental complaints, and includes full-color illustrations to guide readers through the massage and acupressure sequences. 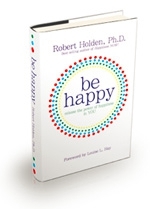 In ‘Be Happy’ Dr Robert Holden gives a front-row seat on his 8-week happiness course – famously tested by independent scientists for the BBC TV documentary called How to Be Happy. Step by step, Robert introduces a set of scientifically proven principles and exercises that have been hailed as “a genuine fast-track to happiness.” Be Happy will help you to live a happier life starting from now. Shame manifests itself in many ways. Addiction, perfectionism, fear and blame are just a few of the outward signs that Dr. Brene Brown discovered in her 6-year study of shame’s effects on women. After talking to hundreds of women and therapists, Dr. Brown is able to illuminate the myriad shaming influences that dominate our culture and explain why we are all vulnerable to shame. 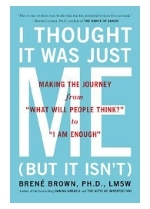 Outlining an empowering new approach that dispels judgment and awakens us to the genuine acceptance of ourselves and others, “I Thought it Was Just Me” begins a crucial new dialogue of hope. 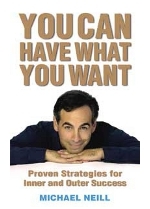 I trained in NLP with Michael Neill. I love all his books and recordings, this is the one I most enjoyed. It shares the wisdom that Michael has acquired from 15 years of working with thousands of individuals and experimenting with hundreds of techniques for creating a better life. In this friendly practical guide he shares those special tips, tricks and techniques. What would life be like if you could wallow in self-acceptance on a daily basis? What would it be like if you really believed that there was nothing wrong with you and that you were good enough just the way you are? Can you imagine a life like that? 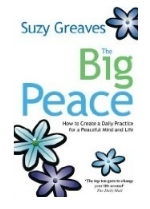 Welcome to the Big Peace – the dynamic, creative place to life – where you can take it easy, be happy and achieve your dreams. This book will show you how.